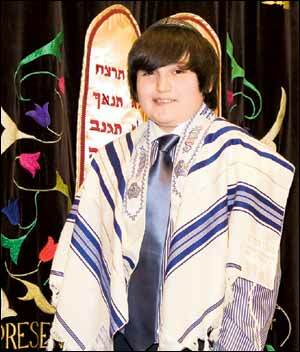 RUGBY player Darren Fox celebrated his barmitzvah at Newton Mearns Hebrew Congregation. Darren, of Whitecraigs, is the son of Andrea and Brian Fox. Brother Connor, 15, was also in attendance as were grandparents Maureen and Norman Abrams. Guests travelled from Bristol, Manchester and London for the simcha. Darren, who attends Belmont House School in Newton Mearns, is a fan of Manchester United and plays golf and football in his spare time. ONLINE Jewish dating brought Joanna Warren, originally from Glasgow, and Erez Cohen, from Israel, together. Joanna, the daughter of Brenda and Albert Warren, was living in Bushey, Herts, at the time and the couple crossed the miles to meet up when they could. When they decided to marry, Joanna knew that Clarkston Synagogue was the place where she wanted the wedding to take place. It may well have been the last chuppa at the shul due to the uncertain future of the building. Rabbi Moshe Rubin and Rabbi Yitzchok Brodie officiated. 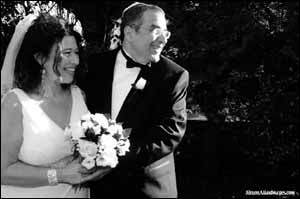 The groom's father Zevulun travelled from Israel, but his mother stayed behind due to the imminent arrival of a grandchild. Alan and Carole Blake stood in as unterfuhrers. Joanna's brother Steven and guests from Australia, London, Spain and Israel were present. Joanna, who works in IT, and lawyer Erez have made their home in Ramat Poleg, Netanya.